Click on the picture above to watch Bishop Doug’s video. Grace and peace be with you in Jesus, the Crucified and Risen One! 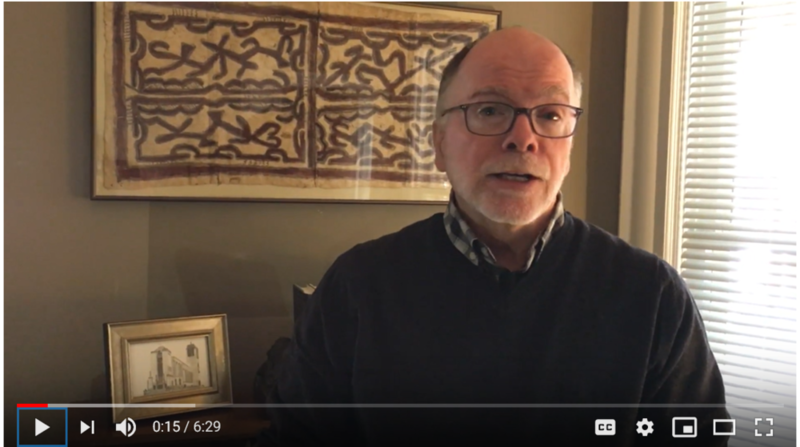 I just arrived home from the March House of Bishops Meeting and wanted to send a video message to all of you as soon as I could. Please uphold in your prayer our sisters, brothers...in Maori...our whanau...in Aotearoa New Zealand...in the city of Christchurch after the horrific act of violence, killing 49 of our Muslim sisters and brothers and all those whose lives are forever changed because of their deaths. We spent the week focused on THE WAY OF LOVE...exploring ways to be more intentional as bishops in living into the way of love. In conclusion, know that you are loved...that you are God's beloved. I greet you with a Maori word for love...much AROHANUI!